Episode 96: Law & Gospel: A Lens for Life – Part 2 – Let The Bird Fly! On episode NINETY-SIX of Let the Bird Fly! Wade, Mike and Peter sit down to continue their discussion on Wade’s presentation entitled Law & Gospel: A Lens for Life. If you missed part 1 of our discussion you can find it right here. As mentioned in this episode, there will be a part 3, as well. It may be that the guys just talk to much, or that Wade’s hit on some important (or at least interesting) points with this presentation. Either way, we hope you enjoy the episode. If you’d like more information on the Apologetics course Mike is offering at Wisconsin Lutheran College during the summer of 2019, you can find all that information right here. And if you know someone who might be interested, make sure to share! Let the Bird Fly! 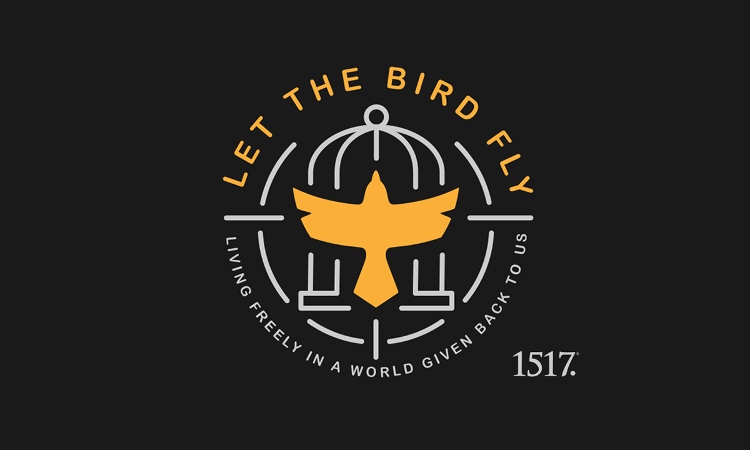 is supported by the 1517 Podcast Network, which is part of 1517.org. If you haven’t done so yet, stop over there and check out the other great podcasts in the network, as well as all of the other excellent content they offer. And as always, if you are enjoying the show, please subscribe, rate, and review us on iTunes, Stitcher, Google Play, Spotify, or TuneIn Radio. You can also like us on Facebook and follow us on Twitter. You can also follow our Telegram Channel, where we post our new episodes as well as other content that we think you might enjoy. And, of course, share us with a friend or two! If you’d like to contact us we can be reached at podcast@LetTheBirdFly.com, or visit our website at www.LetTheBirdFly.com. “The Last One” by Jahzzar is licensed under an Attribution-ShareAlike 3.0 International License. “Whistling Down the Road” by Silent Partner. “Not Drunk” by The Joy Drops is licensed under an Attribution 4.0 International License.